In an effort to facilitate and streamline the buying experience, Walmart is exploring an option that will enable its customers to find specific in-store items using their smart phones, according to a report by FierceMobileContent.com. The retail giant is planning to test the app — which will also report the customer’s exact location within the store — at the store’s San Jose, Calif. location. Users simply log into the mobile app, input a desired product and the location of that product will show up on a virtual floor plan of the store location. The app is using information that is already available, but has just never been used in this capacity. The app solution is a different use of mobile technology for the world’s largest retailer. However, Gibu Thomas, senior vice president of mobile and digital affairs at Walmart, has expressed little interest in NFC technology as a means of payment at the brick-and-mortar locations stating that customers already have cash and credit cards for that. 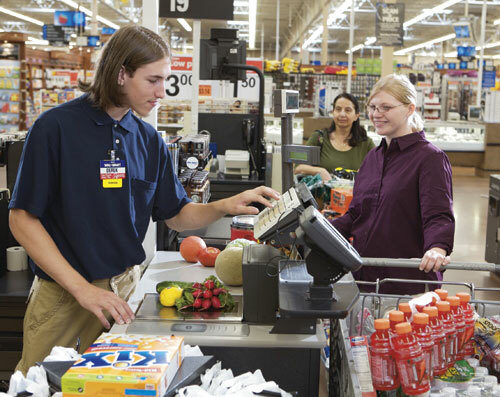 When asked about NFC payment services Google Wallet and ISIS, Thomas made it Walmart’s disinterest in the technology clear, stating that the retailer doesn’t want a middleman between sales and its customers. Instead, Walmart’s plans for its mobile endeavors are more geared toward to a more effective shopping experience— using a mobile app to create a shopping list to fit a budget for example. Though Thomas offered no comment on the matter, there are preliminary reports that Walmart is also testing a service that would allow customers to use their iPhone to complete a purchase at self-service check-out lanes. Thomas estimates that some 50% of Walmart customers own a smart phone. So, while Walmart is forgoing NFC payments for the time being, the retail giant might yet break into the market in some capacity. 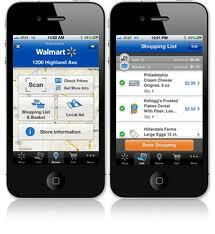 For more on Walmart’s mobile app see the Fierce Mobile Content article here.